Mary Ann Blood was born July 10, 1851 in Hollis, NH to Isaac Pierce and Sarah (Fisk) Blood. She attended Framingham Normal School in Massachusetts (now Framingham State University), graduated in 1871, then took post-graduate advanced classes and completed her course of study in 1873. Normal schools trained its students to be teachers. In 1880, she attended Monroe College of Oratory, now Emerson College, in Boston, studying under C. Wesley Emerson, its founder, where she earned a degree in Oratory in 1882 and became a member of its faculty in 1883. During her tenure at Monroe, Mary taught Analysis, Practical Hygiene, Rendering, & Bible Reading and also administered the Normal Department. 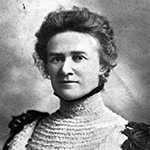 Additionally, she served as a member of the School’s Board of Trustees from 1887 until she left the school in 1890. During her tenure at Monroe, Mary accepted an assignment to teach elocution and expression courses at the State Agricultural College in Ames, Iowa from 1887 to 1888. It was here she meet fellow teacher, Ida Morey Riley. Mary Blood and Ida Riley left New England to establish Columbia School of Oratory in Chicago, Illinois in 1890 where the “Emerson System of Physical Culture” was taught. 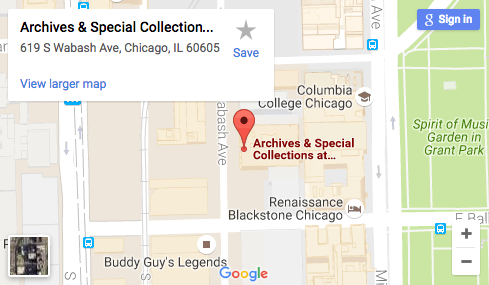 Ida Riley died in 1901 and the school changed its name to Columbia College of Expression in 1905. The college added variety to its coursework and by the 1920s, the school was recognized by the State Examining Board of Illinois and the examining boards of other states, with men and women holding degrees from the College qualified to teach any branch of English, correlated speech arts, and dramatics in the schools without examination. Also, coursework at the school was accredited by the Chicago Board of Education. It also offered a course of study to train students for the Chautauqua traveling lecture circuit. These public lectures became a popular form of entertainment and the College offered training courses for those who wished to become a lecturer or performer on the circuit. She also remained active in the National Association of Elocutionists, the Women’s Christian Temperance Union, and local community groups. She died July 25, 1927 at the College she founded. On July 27th funeral services were held at the school, 120 E. Pearson Street, and many of its alumni were present. She is buried in Hollis, NH and her epitaph reads “She was one of the founders and for 37 years the president of the Columbia College of Expression in Chicago, Illinois”.